A dramatization of the April 2010 disaster when the offshore drilling rig Deepwater Horizon exploded and created the worst oil spill in US history. A massive environmental disaster, the 2010 BP oil spill gets the movie treatment via 2016’s Deepwater Horizon. Based in the Gulf of Mexico, the Deepwater Horizon exists as a massive oil rig that performs deep drilling. Chief Electrical Engineer Mike Williams (Mark Wahlberg) and his supervisor Jimmy Harrell (Kurt Russell) grow increasingly concerned about technical challenges. However, BP executives ignore these dangers and force the crew to rush the project. Eventually the worst happens and an explosion rocks the Horizon. Mike, Jimmy and their co-workers struggle to contain this disaster and also simply survive. Going into Deepwater, I thought it’d give us a “serious movie”. By that, I mean I felt it’d offer something along the lines of American Sniper: a drama with action flourishes that nonetheless focused mainly on characters. Nope. Instead, Deepwater exists as pure disaster flick. Whatever character moments it delivers veer toward the gratuitous side of the street, as ala movie disaster films, we get rough outlines of the participants but not much more than that. The focus remains on mayhem, not personalities. Though it takes Deepwater a while to get there, as the explosion doesn’t occur until about halfway into its running time. In typical disaster movie fashion, Deepwater uses it opening 50 minutes or so to tease us with the upcoming catastrophe. We see hints of defects/flaws that we know will eventually affect the characters, all of whom remain essentially unaware of the impending calamity. Again, this exists as a classic disaster framework. From Towering Inferno to Titanic, the standard film in this genre uses much of its running time to introduce characters and set up tension, while the remainder covers the actual catastrophe. All this makes Deepwater a definite “popcorn flick”, a choice that creates a potential disappointment. Given the environmental impact of the actual events, I hoped that it would offer something with more substance that went for a more three-dimensional feel. This is such a pure action experience that it threatens to trivialize the reality of the events. That said, I won’t slam Deepwater too hard for its popcorn status because it’s really good popcorn. Throughout his directorial career, Peter Berg has never stood out to me as someone with much ability to deliver consistently engaging films, so his presence behind the camera didn’t inspire me with a ton of confidence. While he does nothing especially original or creative, Berg does manage to make Deepwater a compelling tale. Even though the moments meant to set up tension seem transparent, they work – combined with the viewer’s foreknowledge of imminent catastrophe, these teasers give the story an edge. Berg also manages to do just enough to invest us in the characters. As noted, we don’t get much more than a token introduction to any of the personalities, as even our lead boasts limited development. We get a taste of Mike’s life with his wife Felicia (Kate Hudson) and young daughter Sydney (Stella Allen). Even though Mike becomes our primary entry into the human side of matters, we never get a great feel for him. He and Felicia remain pretty one-dimensional, and the same goes for the other characters. We care about them in a generic manner but we never truly invest in them. And again, this doesn’t bother me simply because the movie pulls off the tension and action drama so well. Deepwater comes with a slew of impressive set pieces and maintains a high level of nerve-wracking energy. 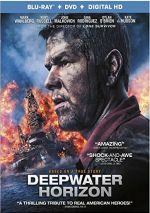 No one should expect a serious examination of the issues connected to real-life events via Deepwater Horizon, as it lacks depth. 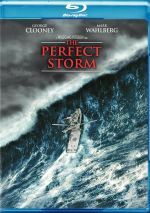 However, it becomes a pretty thrilling disaster movie that gives us a real action charge. Deepwater Horizon appears in an aspect ratio of approximately 2.40:1 on this Blu-ray Disc. The movie gave us a strong transfer. At all times, sharpness worked well. The movie lacked any prominent softness, so it came across as accurate and concise. No issues with moiré effects or jaggies emerged, and edge haloes failed to mar the image. I also didn’t see any signs of source defects. Like most modern action movies, Deepwater opted for the usual orange and teal palette. Though uninspiring, the hues showed appropriate reproduction. Blacks seemed dark and dense, while low-light shots – of which we found many through the disaster – appeared smooth and well-defined. Across the board, the image excelled. As for the movie’s Dolby Atmos soundtrack – which downconverted to Dolby TrueHD 7.1 on my system – it provided an intense experience. Of course, the scenes of mayhem in the film’s second half gave us the most impactful material, as those battered us with explosions, fire and other active elements. The first half of the flick also came with tons of engrossing audio as well, though. Music used all the speakers in a vivid manner, while various airborne, aquatic and rig-based moments featured the spectrum well, too. The movie used the whole soundscape on a nearly constant basis that made this a stunning package. As expected, audio quality seemed stellar. Music was bold and bright, while speech appeared natural and concise. The mayhem occasionally threatened to overwhelm the dialogue, but this never occurred, so the lines stayed easy to understand. Of course, effects dominated the track, and these elements provided excellent reproduction. All the disaster violence showed terrific range and impact, with clear highs and wicked lows. This became a genuinely great mix that easily earned its “A” status – and might just merit an “A+”. The Blu-ray comes with a mix of extras, and we open with a five-part compilation called Beyond the Horizon. All together, it runs 51 minutes, 21 seconds as it provides comments from producer Lorenzo di Bonaventura and Mark Vahradian, real-life participants Caleb Holloway and Mike Williams, director Peter Berg, and actors Mark Wahlberg, Kate Hudson, Kurt Russell, John Malkovich, Gina Rodriguez and Dylan O’Brien. “Beyond” mainly looks at cast, characters and performances, but it also views realism, research and training. Inevitably, much of “Beyond” lavishes praise at the actors, but it gives us a reasonable array of production notes as well. These make it a decent collection of clips. For more about the director, we go to the 18-minute, 15-second Captain of the Rig. It offers info from Berg, Wahlberg, di Bonaventura, Hudson, Rodriguez, Malkovich, Russell, sound designer Wylie Stateman, composer Steve Jablonsky, and cinematographer Enrique Chediak. “Captain” discusses Berg’s directorial style and impact on the shoot as well as camerawork, music and audio. Like “Beyond”, this veers toward happy talk, but it still comes with enough information to merit a look. The Fury of the Rig lasts 27 minutes, 20 seconds and features Berg, Russell, di Bonaventura, Wahlberg, Chediak, Hudson, O’Brien, Rodriguez, Malkovich, production designer Chris Seagers, producer David Womark, supervising art director Marc Fisichella, ILM VFX supervisor Craig Hammack, and special effects supervisor Burt Dalton. “Fury” examines the design and construction of the rig set as well as aspects of the production related to it. This becomes one of the meatier featurettes, as it gives us a nice view of this important part of the film. With Deepwater Surveillance, we see 12 behind the scenes segments. With a total time of 17 minutes, 40 seconds, these show us raw shots from the set that illustrate the practical effects used for the film. I’d like a little commentary to discuss the challenges, but it’s still interesting to watch the real circumstances under which the actors worked. Under Work Like An American, we break into three sections. “American Worker Tributes” (16:03) delivers remarks from Caleb Holloway, ironworker Les Pryce, Chief Live Line Coordinator Bill Reimels, logger Darrell Holthusen, longshoreman/crane operator Meredith Gregory, Gulf fisherman Adam Donahue, journeyman/electrical foreman Hannah Cooper, and machine shop owner/welder Marc Nunez. These folks discuss their careers and what they get from them. Essentially all of this acts as an appreciation of the “American worker”, and that’s fine. It’s not a deep exploration but it offers some insights about what brought the people to their fields. We also find two versions of “I Am A Steel Beam”. Both last one minute, three seconds and show the same footage, but one comes with narration from Peter Berg while the other offers narration from Gina Rodriguez. These clips extend the appreciation from the “Work” clips. The disc opens with ads for Patriots Day, John Wick 2, Hell or High Water, American Pastoral and Hacksaw Ridge. No trailer for Deepwater appears here. A second disc presents a DVD copy of Deepwater. It includes “Fury”, “Surveillance” and “Work” but drops the other extras. At no point does Deepwater Horizon give us a rich, meaningful movie. However, it excels as an action film, one whose real-life connections give it extra zing. The Blu-ray boasts terrific picture and audio along with a reasonable set of supplements. Deepwater brings us an exciting disaster flick.